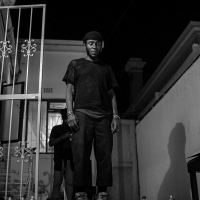 Yasiin Bey (AKA Mos Def) is an American rapper and actor. His early career started with the band Urban Thermo Dynamics, but he is famed for his solo output as well as his work with Talib Kweli (in the band Black Star). Solo album releases have included 'Black on Both Sides', 'The New Danger', 'True Magic' and 'The Ecstatic'.